It has increasingly become a minority position in the church to believe that God created the world in literal six days, and that the earth is young, not millions or billions of years old. I am one of those in the minority that continue to believe that. So what about science? Doesn’t all science point to evidence that says the earth is much MUCH older? Before I answer that, I want to post a blog recently written by a well known and popular Christian blogger, Tim Challies, expressing his position with which I totally agree. Honestly, there is not much that I want to add after this blog, which was originally posted here. I believe God created the world in six days—six literal twenty-four hour periods. I believe the earth is young—probably less than ten thousand years old. I have always believed this. But why? As I considered this position, I realized there are three main reasons I hold to it. The first reason I am a six-day creationist is this: I believe it is what the Bible teaches. There have been endless debates about the meaning of the word we translate as “day” in Genesis 1 and so much of the debate stands or falls right here. There have been many attempts, some of them quite compelling and some bordering on the ridiculous, to make it express something other than “day.” But in the end, I believe a natural reading of Scripture, and a natural reading of the author’s intent in the passage, leads to the most natural and obvious conclusion: God created all that exists, from nothing, in six literal days. This is what the author said, because this is what the author meant to convey, because this is what the author believed, because this is exactly how God did it. The second reason I am a six-day creationist is that I believe this is what the other biblical writers believed. When the subject of creation arises elsewhere in the Bible, I see no evidence that the writers held to any position other than literal six-day creation. If we hold that Scripture interprets Scripture, I see the Bible confirming the simplicity of God creating all things in six literal days. The third reason I am a six-day creationist is that I believe this is what science tells us. I believe science confirms a literal six-day creation and a young earth. I find the science demanding millions or billions of years less compelling than the science supporting a much less ancient universe. Even though so many people today scoff at even the suggestion that the world may be young, I find the old-earth science built upon very shaky and ever-shifting ground. I believe the Bible speaks with greater clarity and greater authority than what I believe I see or what I believe I experience. Where many interpretations of science appear to contradict a literal six-day creation, I am not ready to re-interpret a clear and natural reading of Scripture to make it fit with these observations. The Bible is infinitely more stable than science and infinitely more reliable. G.I. Williamson recently said this well: “ I do not believe that there is, or ever will be, any scientific discovery that will be able to discredit what God has spoken. Yes, scientific theories do appear to discredit that creation account. But be patient. In time it will be seen that those humble Bible believers were right all along: it was a six-day creation.” I believe this too. I was and I remain a convicted six-day creationist, something that seems to increasingly be a minority position in the church. I do not make belief in a six-day creation a necessary mark of orthodoxy or a necessary mark of a Christian. But I do believe it is correct (I wouldn’t believe it otherwise, would I?) and I do believe it matters. How and why it matters is a topic for another day. Thank you Tim Challies, for your stance and blog. So, what about all the science that points to evidence that says the earth is much older? When God created Adam, He did not create Adam as a baby. Nor did He create Eve as a baby. And though Adam and Eve looked like they were adults and had lived for at least 15-20 years, (unquestionably they did not look like babies), their time of “true existence” on the earth was very short. If any scientist or doctor had examined Adam and Eve’s body a week after they were created, ALL scientists and doctors would have concluded that Adam and Eve had lived for many years, based on the evidence presented. If Adam and Eve were created as adults, couldn’t the world, which God created, been created in a way that would seem to science as old and established? Therefore, my faith is not shaken, when I hear science conclude that some tree, rock or fossil, by scientific standards, seems to be millions of years old; even if the declaration comes from a “Christian” scientist. It appears for creation to function as perfectly as God created it, it needed to be created that way! Christian leaders, pastors and theologians have different opinions on issues related to creation & evolution. Many respected leaders would differ with my view. I do not think this needs to be an issue that divides us to the point of not accepting one another as a brother or sister, or not being able to worship together in the same congregation; as long as both sides acknowledge that God IS the creator of heaven and earth. A boundary must be made though, when discussion of “evolution” leads to belief that Adam and Eve were merely figurative or allegorical; for then it puts into question the rest of the Bible, the fall, sin, Jesus’s role, the need for a 2nd Adam, etc. Then, even Jesus’ words like in Mark 10:6 “But from the beginning of creation, God made them male and female” have to be questioned. A) The Bible does not teach that Scripture interprets Scripture. Rather, it teaches that the [Catholic] Church interprets Scripture. B) Old Earth does not “put into question the rest of the Bible.” If the differing Genesis accounts suggest (in your mind) a literal 6-day creation, then of later writers will affirm (in your mind) a literal 6-day creation. HOWEVER, if the differing Genesis accounts suggest a theological truth, then the later writers will affirm a theological truth. I, an old-earther, could use the same argument against the YECs. C) Your other assertions (the fall, sin, Jesus’ role, the need for a 2nd Adam, etc.) fall apart in the same way as your previous assertion. In other words, Old Earth does not threaten Christianity–it threatens a modern version found within Fundamentalism, but not Christianity. Fortunately, Christians are free to believe in either Old or New Earth! It is not a matter of “brothers or heretics” as you suggest. if you understand that the Heavens and the Earth were created 1st. Gensis1:2 tells us that the earth was formless. If you consider for a moment that the Bible doesn’t say what span of time . 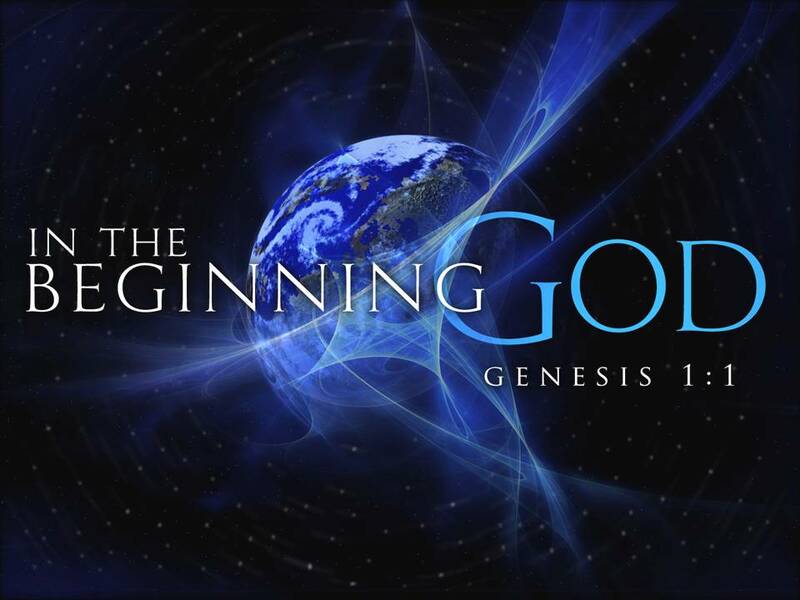 The first day doesn’t begin until Genesis 1:5. I Believe God created the Earth in 6 Heaven Days. It says in the Bible that 1000 years on earth is like a day in Heaven. I believe in six literal days. Sin and death entered the world when Adam fell. If this is not so, where is the evidence of millions of years of fossils that lived and died before the fall?